Tuscanny Remembered is a painting by Ujjagar Singh Wassan which was uploaded on October 5th, 2010. 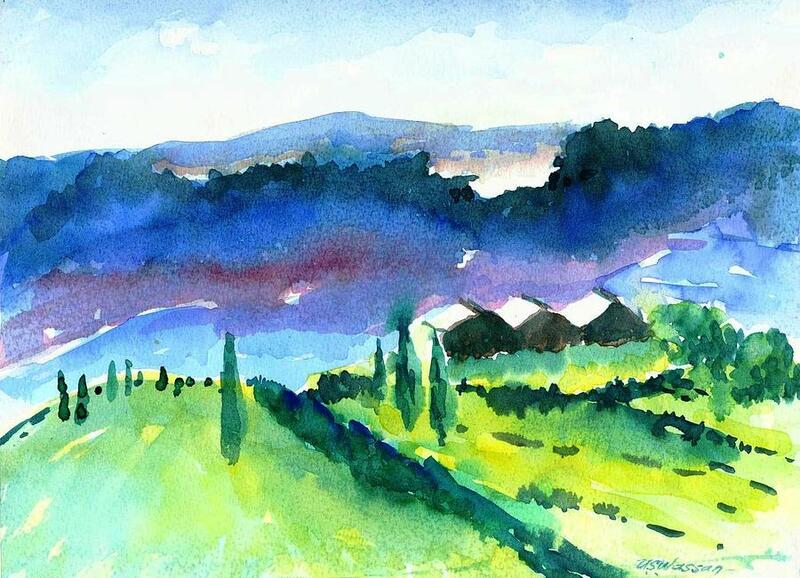 This watercolor was done in the late summer evening. The lighted clouds between the mountain ranges betray the last light of the evening. There are no comments for Tuscanny Remembered. Click here to post the first comment.